(c) in the prime spot for grabbing the attention of people cooking with an almost guarantee that if he just in your way enough time he’ll be lured out of the way with some tasty treat. 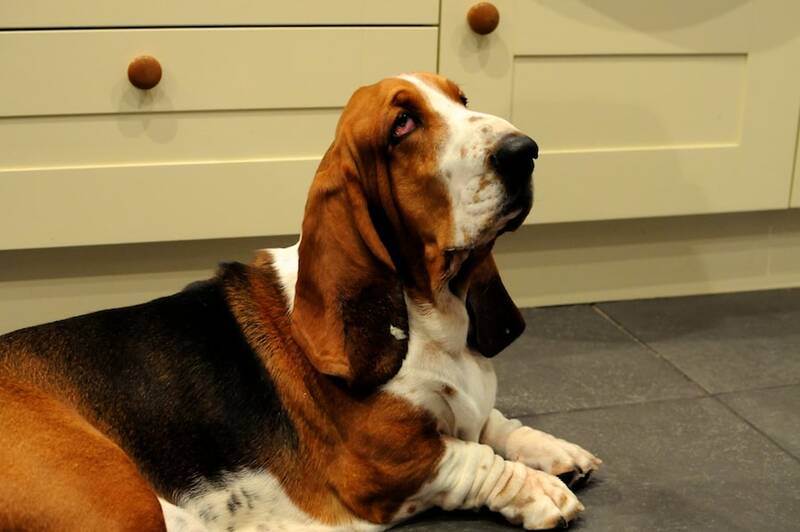 Mason maybe our brainy basset but Big Basset is no dunce, especially where food is concerned. Oh in case you are wondering – that light coloured blob on said bassets ear looks like a piece of cheese he is saving for later. A bassets ears are like a man’s beard, always saving little bits for later!! Fortnum looks great and he’s obviously no dummy. I love those wrinkly ankles, looks like his socks fell down!! Give the boys a smooch from me! !